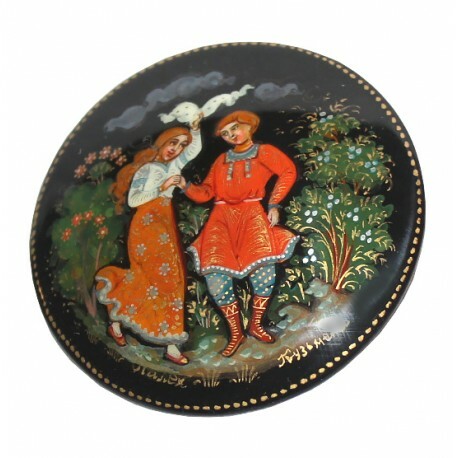 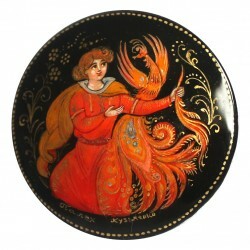 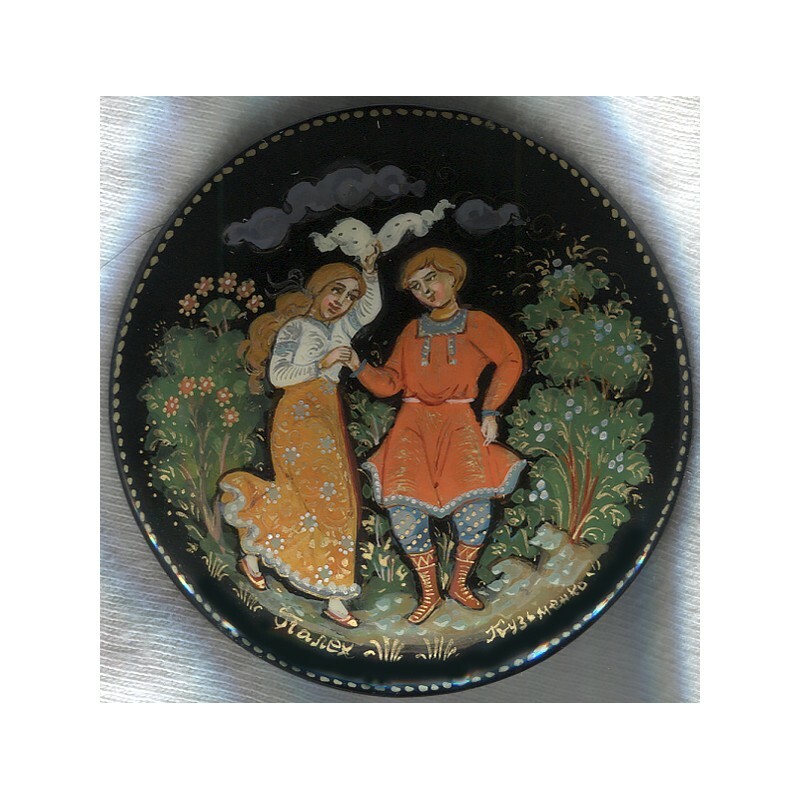 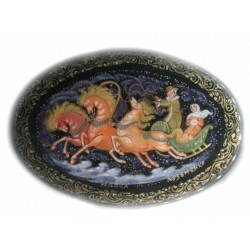 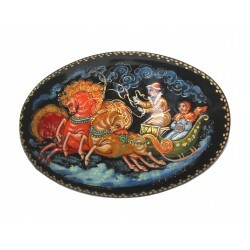 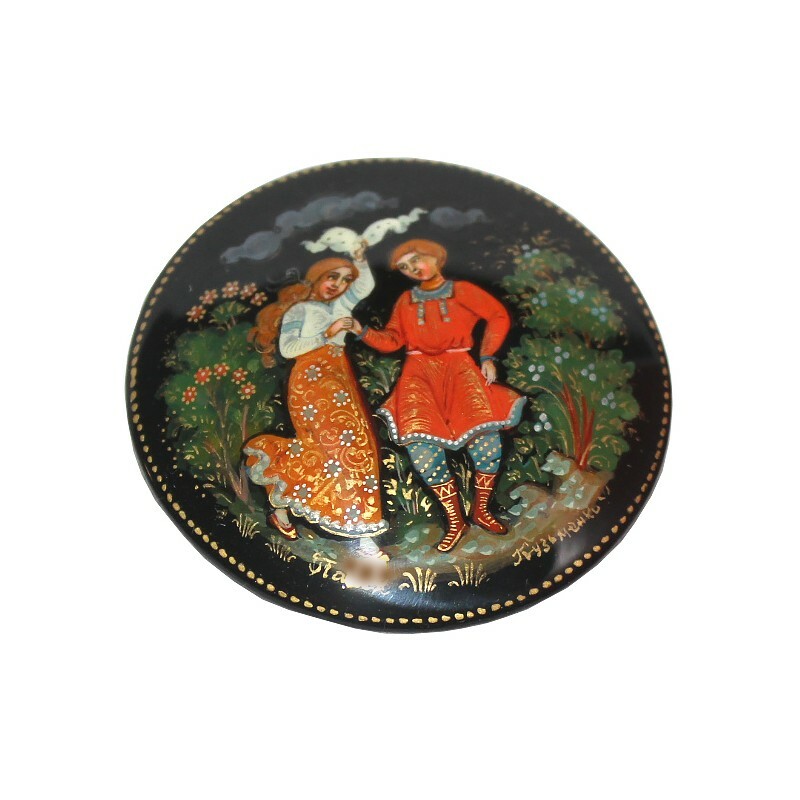 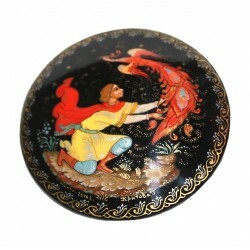 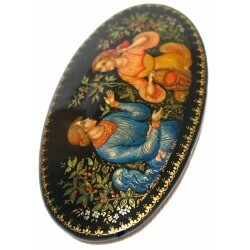 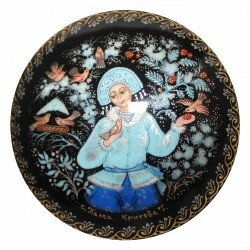 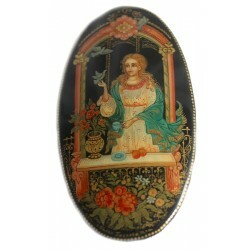 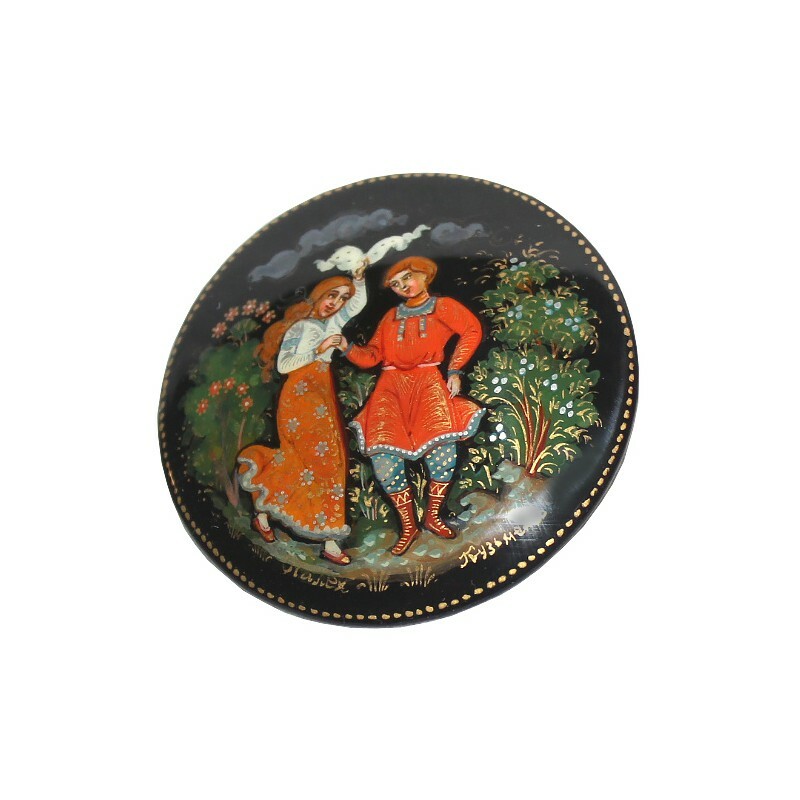 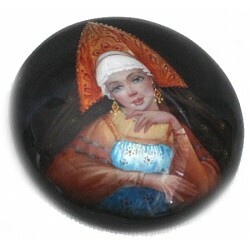 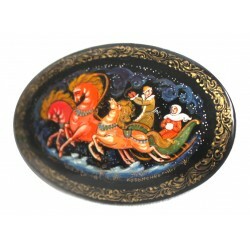 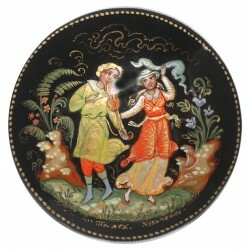 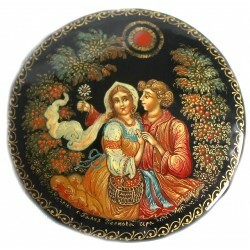 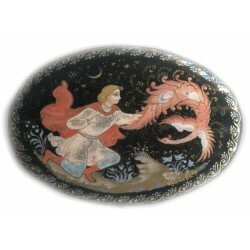 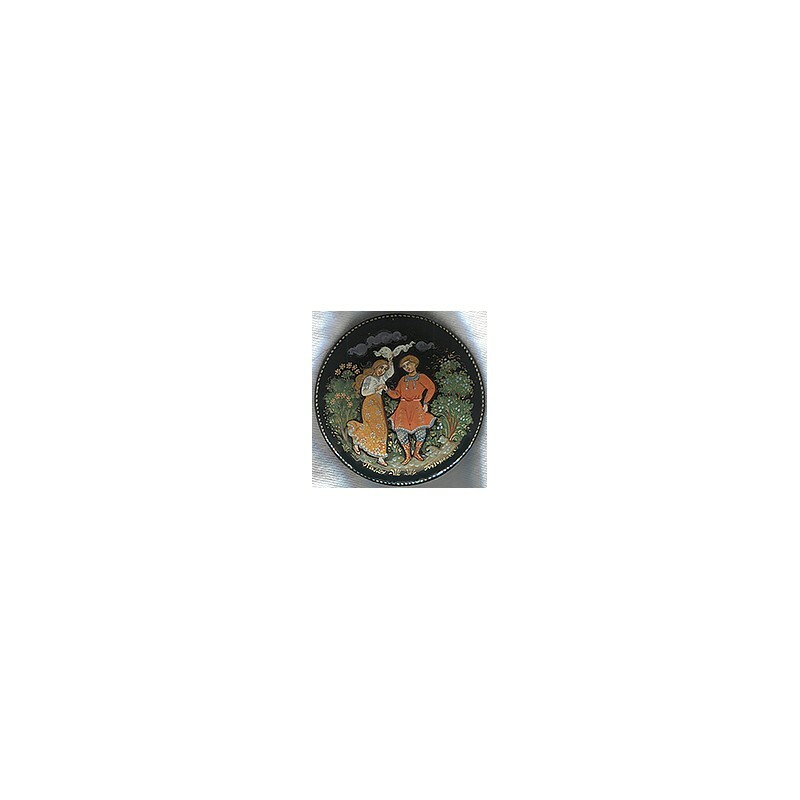 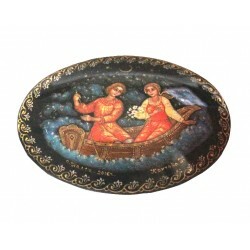 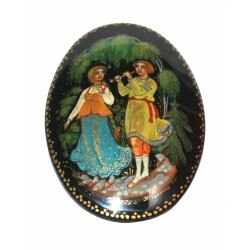 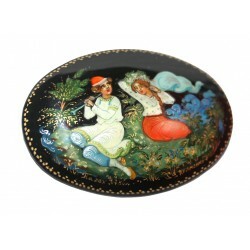 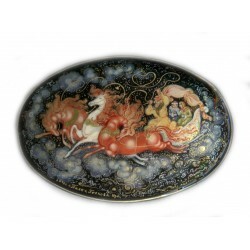 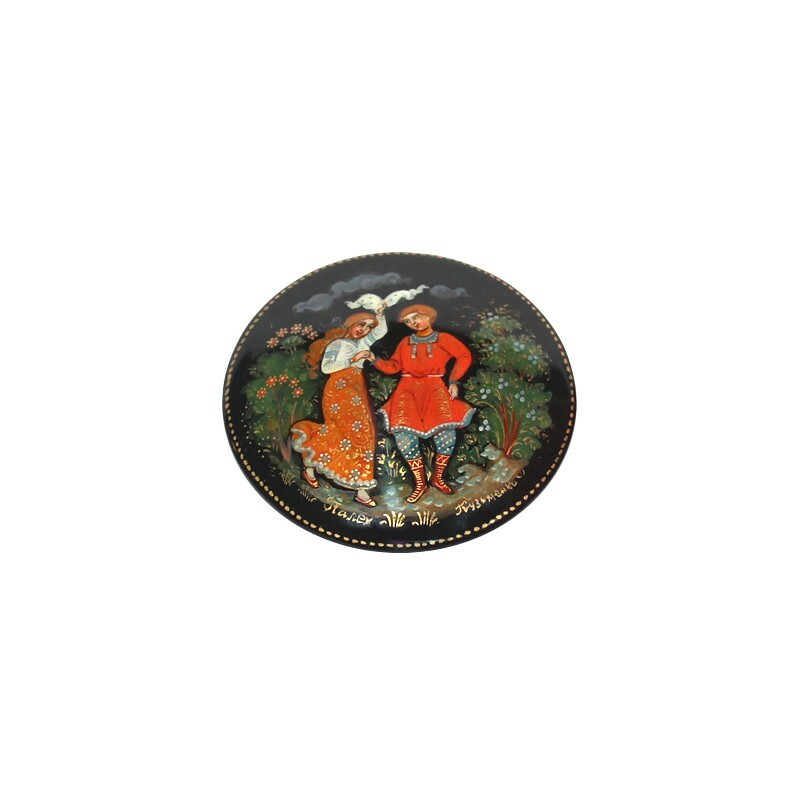 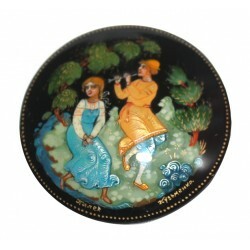 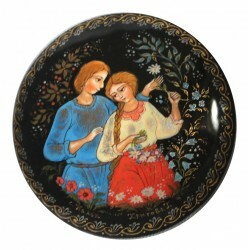 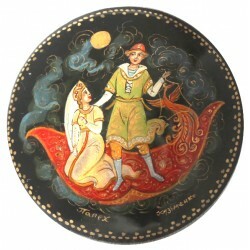 This very detailed brooch was painted by a talented Palekh artist Kuzmenko Galina. 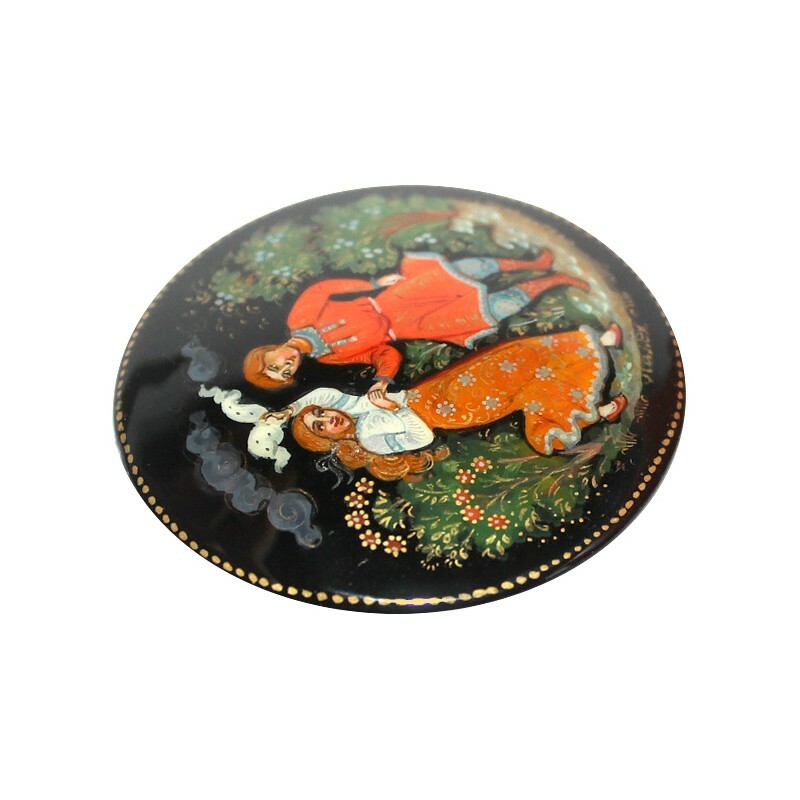 This very detailed brooch was painted by a talented Palekh artist Kuzmenko Galina. 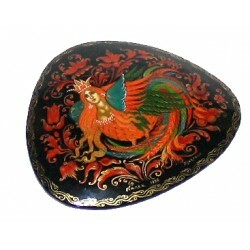 The brooch is made of paper-mache. 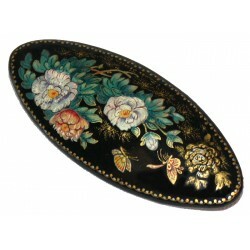 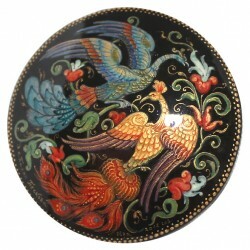 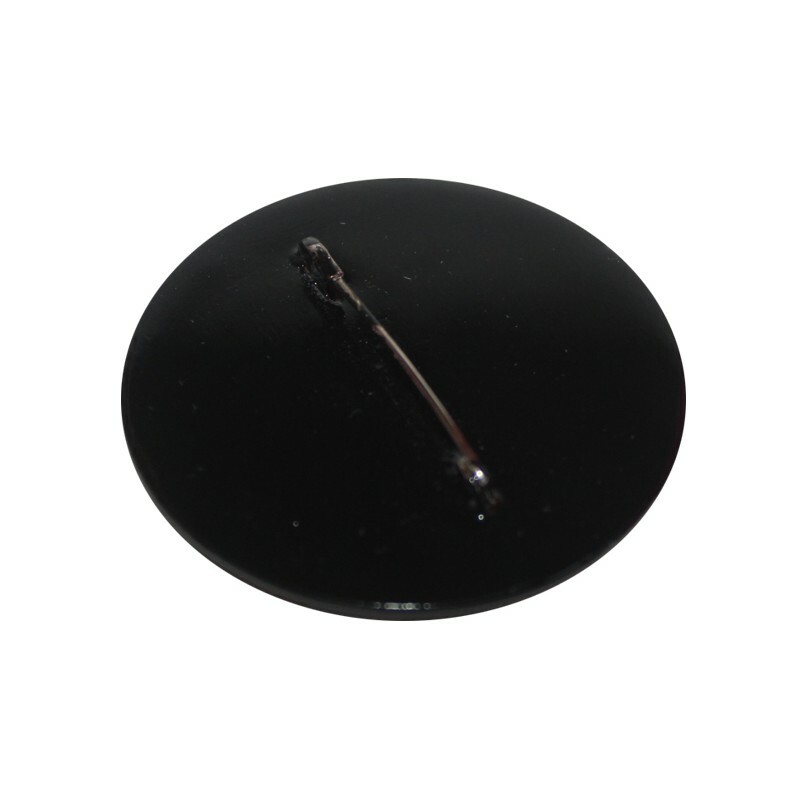 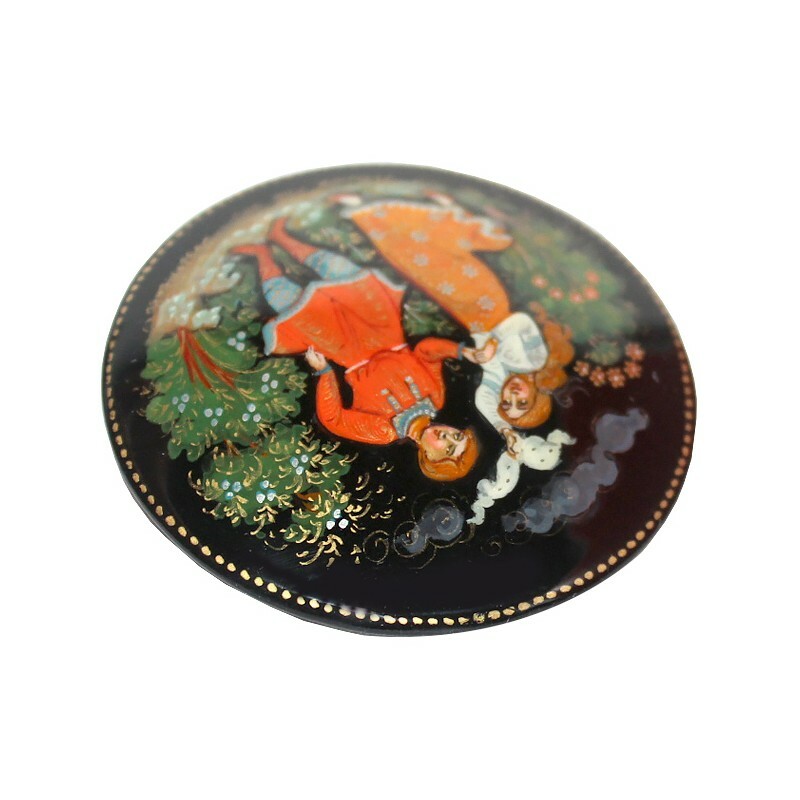 Black lacquer is used to paint the exterior of the brooch.